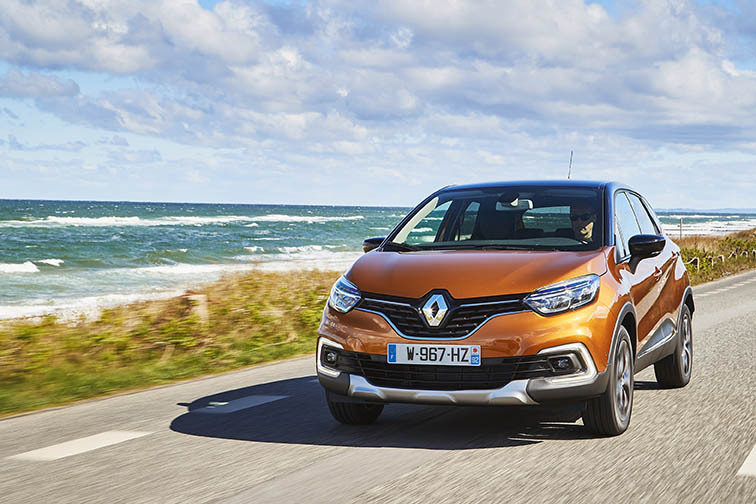 One of Renault’s star performers in 2017, the new facelifted Captur dominated the compact crossover segment, finishing the year firmly on the podium and maintaining its number one position with 29.8 per cent share. The Captur’s performance helped to drive the segment’s growth to almost 5 per cent of the market last year. The Captur has gotten off to a strong start in 2018 also, retaining its number one position in January. In the face of competition from several new entrants to the market, the Captur owes its continued success to a comprehensive offering of value, comfort and style. Designed as a spacious family car, the Captur is compact and easy to drive, with low running costs and an unmatched level of style and customisation, accentuated by a vibrant colour selection, Renault says. The longest wheelbase in its class gives more legroom, while sliding rear seats and a large boot give true versatility. The most popular Captur is the Signature X Nav, and it’s easy to see why. From just €24,890, it boasts leather seats, navigation, full LED headlights and parking assistance with an integrated rear-view camera. Customers who choose metallic paint can add a contrasting colour on the roof at no additional cost. The range starts at just €20,290, and with alloys and air conditioning across the range, there’s a well-equipped Captur to suit every budget. The Renault Captur is already the choice of over 7,000 Irish drivers. The recently introduced facelifted model has been upgraded with Renault’s C-shaped LED lighting signature front and rear, new alloy wheel designs and new colours. To complement the more stylish exterior, the interior has also been re-designed with new materials and new upholstery, as well as the stunning new Signature S Nav trim level at the top of the range. The Renault Captur starts from €20,290 and comes with 5 years’ warranty and 5 years’ roadside assistance. Throughout February and March, Captur is available with 3% APR finance, 3 years’ servicing and €1,000 cashback.